HIV is undetectable in Shana Cozad’s blood, but she says her antiretroviral medication doesn’t deserve all the credit. “In the Native community, when you’re sick, it isn’t that you just take a pill and you’re better,” says the 46-year-old Cozad, a member of the Kiowa tribe of Oklahoma who lives with her husband and children in Catoosa, a Tulsa suburb. She recalls seeking help from the tribal elders. “Hey, I’m sick. The white-man doctors say I’m going to die,” she told them. The tribal elders guided Cozad to traditional healing ceremonies, overnight rites that last 12 to 15 hours. “Lots of sitting on the ground or on your knees and praying before a fire,” Cozad explains. The ceremonies helped her release the anger she felt toward HIV. Cozad is one of nearly 4,000 American Indians and Alaska Natives (AIs/ANs) estimated to be living with HIV. Not all have been as warmly embraced and supported by their respective communities as she has been. Many AIs/ANs have encountered cultural, economic and logistical obstacles to getting tested and receiving the care they need, whether it’s pre-exposure prophylaxis (PrEP) to prevent HIV or antiretroviral treatment to fight the virus. Although people who identify only as American Indian or Alaska Native make up about 1.2 percent of the U.S. population, they have always been part of the HIV epidemic, notes Alex White Tail Feather, executive director of the National Native American AIDS Prevention Center (NNAAPC). The Denver-based nonprofit was founded in 1987 because, White Tail Feather says, neither the National Indian Health Board nor the National Congress of American Indians acknowledged the existence of gay Native Americans. Although not all Native Americans living with HIV are gay, the widespread association of the virus with gay men was an impediment. By 2006, however, the National Congress of American Indians approved March 20 as National Native HIV/AIDS Awareness Day, which was first observed in 2007. The first HIV surveillance report by the Centers for Disease Control and Prevention (CDC), published in July 1982—before the virus had been identified and named—listed one AI/AN among the 452 cases reported to the CDC of Kaposi’s sarcoma, pneumocystis pneumonia and other opportunistic infections that would come to define an AIDS diagnosis. “I find that compelling,” says White Tail Feather, a member of the Kashia Band of Pomo Indians. Because of the relatively small number of cases diagnosed each year, White Tail Feather worries that some people may brush off the notion that HIV is a problem for AIs/ANs. “Oh, there’s only 200 natives who have been diagnosed with HIV, and that’s really good” is not an uncommon refrain, he says. Elton Naswood suspects that the number of AIs/ANs diagnosed with HIV may be higher than the CDC count, owing to misclassification. “A provider would look at them and think they’re Latino or Hawaiian Islander,” says Naswood, a member of the Navajo Nation whose older brother, Eldon, faced stigma on his Arizona reservation as a gay HIV-positive American Indian. Eldon died 20 years ago of AIDS-related illness. Naswood, who lives in the Washington, DC, area, does capacity building for tribal agencies that deal with HIV. In addition to challenges helping those living with the virus, Naswood has encountered barriers to prevention, such as clinic pharmacists who don’t know how to prescribe PrEP. According to the CDC, excluding whites and Asians, AIs/ANs have a lower rate of HIV diagnoses than other racial groups, but this could simply be due to the fact that a higher percentage of Native Americans living with HIV don’t know they have the virus. “The time between first diagnosis of HIV/AIDS infection and death is the shortest” among Native Americans compared with the other groups, points out Jessica Leston, an Alaska Native and director of the HIV/STI/HCV clinical programs for the Northwest Portland Area Indian Health Board (NPAIHB). In 2013, the CDC estimated that 18 percent of AIs/ANs living with HIV didn’t know their status, compared with 13 percent of the entire U.S. population living with HIV. In addition, while annual HIV diagnoses among the general U.S. population declined 19 percent from 2005 to 2014, they rose by the same percentage among AIs/ANs during that decade, according to the CDC. The reasons for these disparities between Native Americans and other ethnic groups are as complex as the Native American community itself. Although federal agencies lump American Indians and Alaska Natives together as AIs/ANs, Native Americans are far from being of one mind when it comes to HIV. The federal government currently recognizes 567 tribes in 35 states, and “they are just as different as the 50 states have different policies and norms,” says Leston. NPAIHB, the nonprofit tribal advisory organization Leston oversees, serves the 43 federally recognized tribes in Oregon, Washington and Idaho. “They operate very autonomously, and the tribes set their own public health priorities. 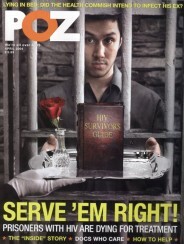 HIV might be high on some tribes’ priority lists, but it might not be high on others’ lists,” she says. The Navajo Nation, second only to the Cherokee Nation in population, is an example of one such tribe whose leaders shun using such terms, Haverkate says. And yet, “they are leaps and bounds ahead of the rest of the country in the way they’re getting the work done,” he says. Many of AIs/ANs don’t know they’re HIV positive because of that “ever-present stigma still attached to just the idea of testing for HIV,” he says. “It’s taboo in a lot of communities still.” Based on CDC data, the Indian Health Service in 2015 added clinical reminders for HIV screening to the electronic medical records of all patients ages 13 to 64. Today, more than half of the individuals in that age group who have been seen at an Indian Health Service facility have been tested, Haverkate says. Still, when he hands out his business card, he sometimes encounters blank stares and quick exits. “These are tribal leaders. They’re not running out of the room. They aren’t being belligerent, but there’s really a wall there,” says White Tail Feather. Jonathan Iralu, MD, the Indian Health Service’s infectious disease consultant, has been based at the Navajo Area Indian Health Service in Gallup, New Mexico, since 1994. Gallup, population 22,000, is a long way from Philadel-phia, Iralu’s hometown, and Boston, where he trained at the Brigham and Women’s Hospital, a Harvard University teaching hospital. Although he is not Native American, he felt drawn to New Mexico and the Indian Health Service after finishing his training, given his research into the 1993 outbreak of hantavirus in the Four Corners area shared by New Mexico, Arizona, Colorado and Utah. The CDC, the state health departments, the Indian Health Service and the Navajo Nation worked together to determine why healthy young people, some of them Navajo, were suddenly dying of a severe respiratory illness. In a matter of months, scientists identified the previously unknown type of hantavirus, one of a group of viruses transmitted by rodents to people, that was causing the illness. “Medicine in Boston is quite different from here,” Iralu notes, in what is probably a major understatement about his Southwestern home. Iralu’s health center is located along Interstate 40, a short distance from the edge of the 27,000-square-mile Navajo Nation, bigger than the entire state of West Virginia. According to Iralu, for some people, it would be a 360-mile round trip to the health center. About 40 percent of HIV-positive American Indians who receive care from the Indian Health Service are virally suppressed, Haverkate says. That’s about the same proportion as the worldwide average, but it falls short of the United States, where 50 percent of all people living with HIV are undetectable. Because infectious disease specialists are in short supply in remote areas, the Indian Health Service, the University of New Mexico School of Medicine and the New Mexico AIDS Education and Training Center collaborate on Project ECHO (Extension for Community Healthcare Outcomes). Less than half of Native Americans receive their care through the Indian Health Service, Haverkate says. Some tribes prefer to operate their own clinics, while many American Indians have moved off the reservation and live far from Indian Health Service facilities. In fact, only about one in five Americans who identify as at least part AI/AN live on reservations or on trust lands—property owned by individual Native Americans or tribes but held in trust by the federal government—outside reservation borders, according to the 2010 census. The proportion is higher among people who identify only as AI/AN, but it’s still only about 30 percent. Many AIs/ANs live in urban centers; the census found that approximately 112,000 reside in New York City alone. The Indian Health Service’s Urban Indian Health Program funds clinics in urban centers around the country, although New York is not one of them. “What we have heard is, just because there’s an urban clinic that provides services to Native people does not mean that they have anybody there who understands HIV treatment” or how prevention regimens work, White Tail Feather says. To help raise awareness about PrEP and HIV among LGBT (also known as Two Spirit) Native Americans, 38-year-old performance artist Sheldon Raymore developed the character PrEPahHontoz. Raymore is a member of the Cheyenne River Sioux tribe and has lived in New York City for more than a decade. He serves as the community outreach staffer at the American Indian Community House, a nonprofit serving the health, social service and cultural needs of Native Americans who live in the city. 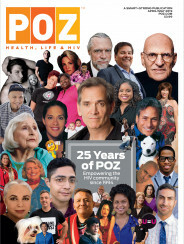 “Many Two Spirit individuals from tribes across North America remain unaware of PrEP as an option for their HIV prevention method arsenal,” says PrEPahHontoz on her website. “She’s been a wonderful ambassador,” Raymore says of PrEPahHontoz, who released her first single, “Take the Pill,” on iTunes last June. In photographs and at public appearances, PrEPahHontoz wears a traditional costume embellished with red AIDS ribbons and wooden beads made to rememble blue Truvada capsules, courtesy of a crafty seller Raymore found on Etsy. Raymore has been on PrEP for more than two years, and he has experienced firsthand the lack of awareness about PrEP among Native Americans. Although he was born and raised off the reservation, in Fremont, California, he inherited the home his late father owned on their tribe’s reservation in central South Dakota. On one recent trip to the reservation, Greyhound lost his luggage, which contained his Truvada. He went to the tribal clinic, but it stocked Truvada only for treating HIV, not for prevention. “I actually had to educate the doctor about PrEP,” Raymore says. Cozad became HIV positive in college, years before PrEP became available, but she wouldn’t have thought she needed it. She didn’t inject drugs, and the grad student she contracted the virus from was only her second sexual partner. Until their breakup, he denied having any sexually transmitted infections, but in their final argument, he pleaded, “You can’t leave me, I’ve got AIDS.” He eventually was lost to the disease. She didn’t believe him and figured his claim was a desperate attempt to hold on to her. A friend finally convinced Cozad to get tested. It took three positive test results to convince her that her ex, in the end, had told her the truth. Not only was she HIV positive, but, with a CD4 count that had dropped to 189, Cozad was also diagnosed with AIDS—although she says she felt fine.